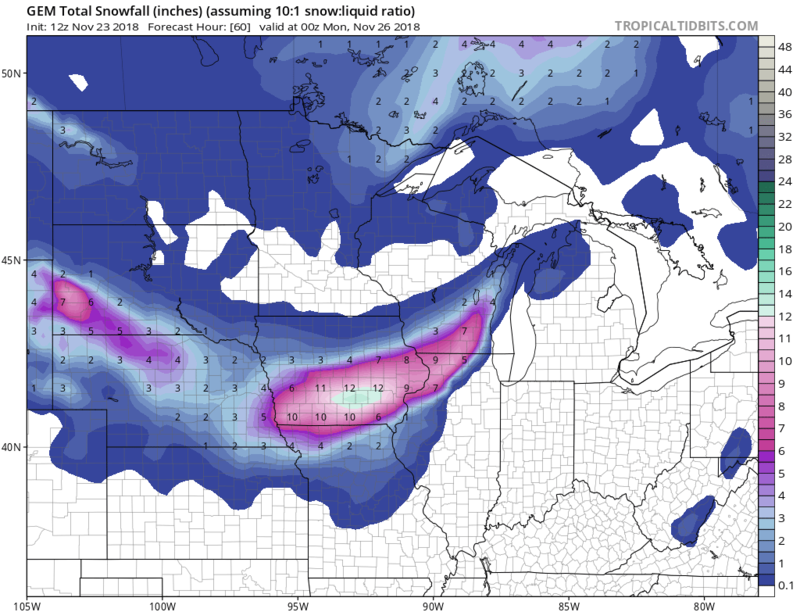 A storm coming out of the northern Rockies will produce a swath of snow from western South Dakota, through Nebraska into Iowa and Wisconsin. 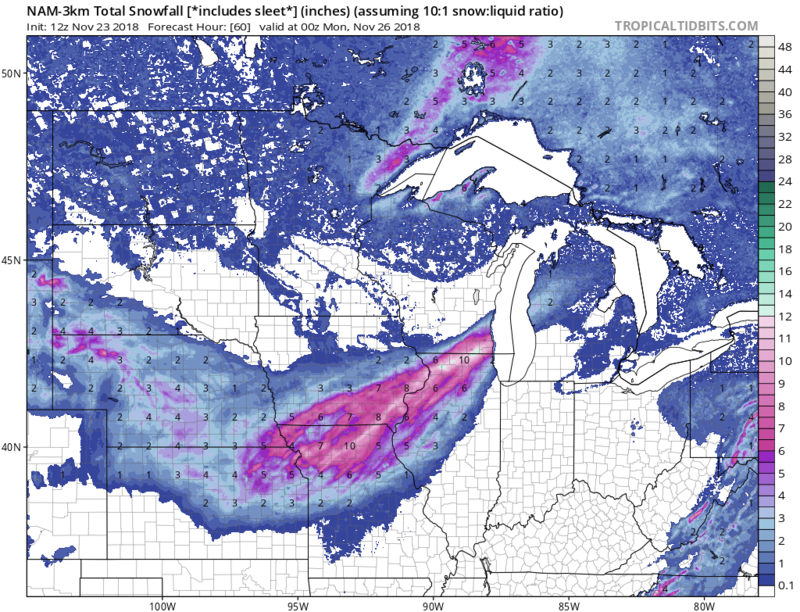 The heaviest snows will fall across Iowa into southern Wisconsin and northwest Michigan. That area could see amounts of 6-12 inches and very poor travel conditions. 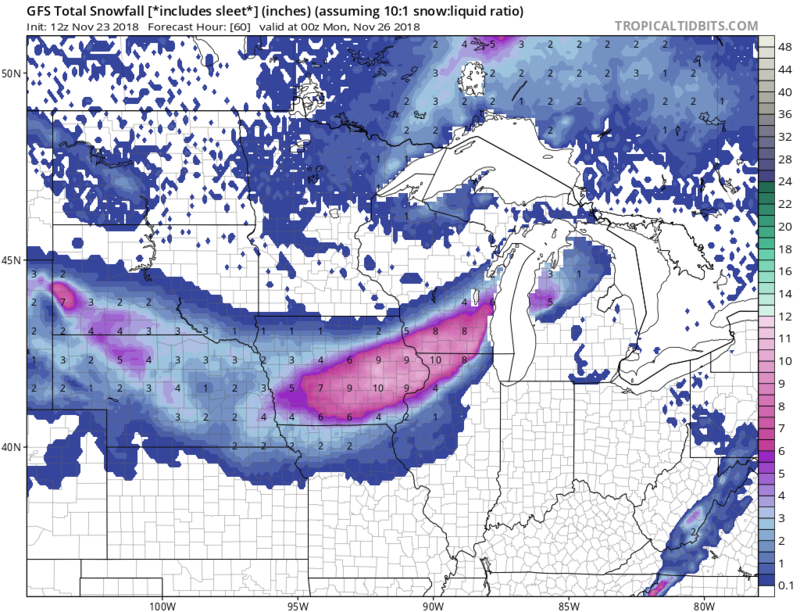 General amounts from South Dakota through Michigan will be 1-6 inches. The snow will be dry and powdery type of snow which the winds will blow around. Roads will become snow covered and hazardous, including a long stretch of I-80 from Illinois to Wyoming. 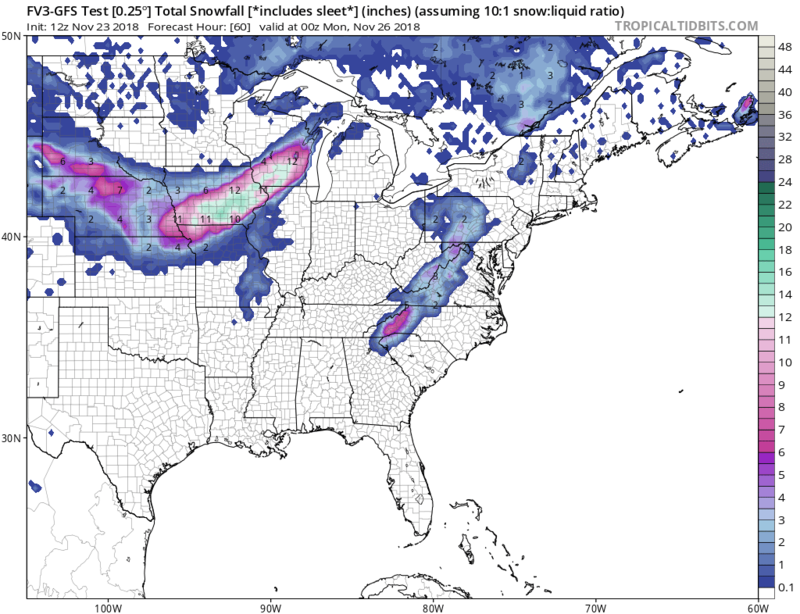 Below are the various computer model snowfall amounts. 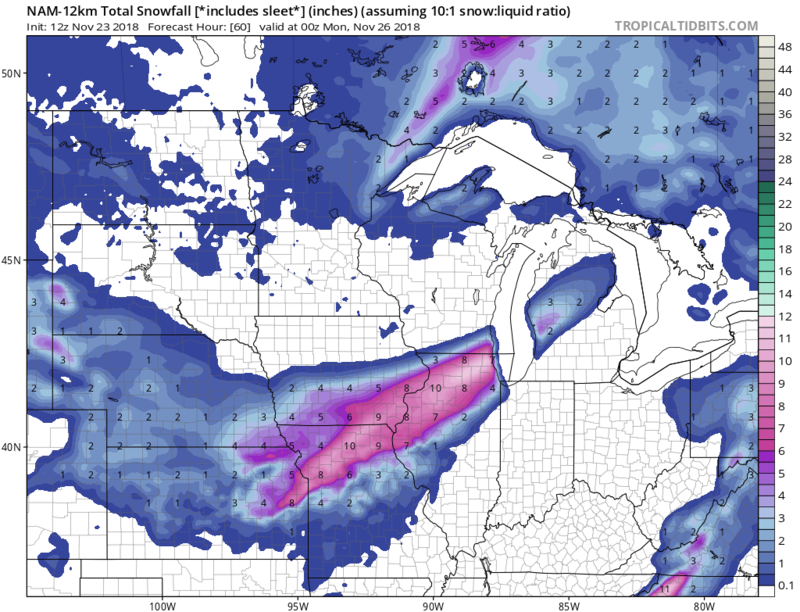 Most of the models seem to be in agreement on the placement and amount of the snows.